The progressive minds at SRAM saw the opportunity to make a better press fit system by combing the best BB30 technology into one captivating package, so they did just that. 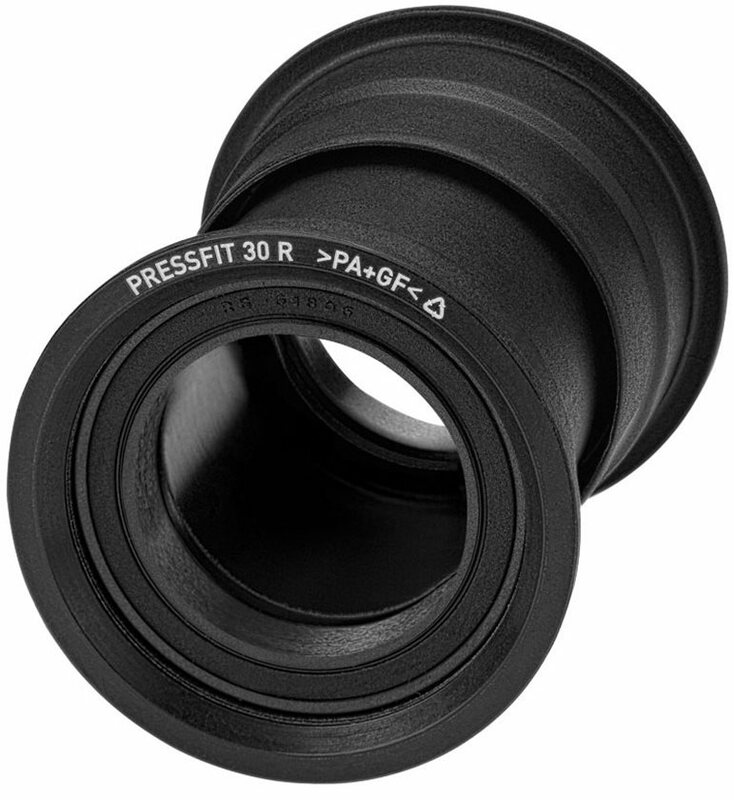 Their Press Fit 30 features an integrated seal, pre-assembled into the cups, to extend bearing life. The key difference with Press Fit 30 is how the bearings are fitted into the frame. Bearings are housed in nylon cups that you press into the frame's bottom bracket shell. Compatible with 30mm cranks, the Press Fit 30 is an excellent bottom bracket that's built to last. Couldn't take the creaking anymore! With a little know how and the right parts, no more creaking! Replaced these about every 1000 miles. Perfect replacement parts for BB30. Easy to install et original SRAM component. They are cheap, easy to install, and they work fine. I've used more expensive BB's but for quick and dirty servicing, these are pretty hard to beat. They are all plastic composite and feel really cheap. When I installed them, they take a great amount force to rotate. It may an installation problem but not likely. Does this for a press for 92 frame?